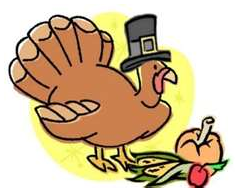 This Sunday Bagel Nosh and Know – Is Thanksgiving Kosher? Stuffing or cranberry sauce? Whole or mashed potatoes? When do we eat? The debate is a bit deeper than this, but the Jewish discussion over the celebration of Thanksgiving helps us to focus on the true intent of our upcoming, quintessential, noshing, American holiday. This entry was posted in Congregation News, Jewish Learning, Jewish Recipes and tagged Jewish Learning, Reconstructionist Rabbi San Francisco. Bookmark the permalink. 1 Response to This Sunday Bagel Nosh and Know – Is Thanksgiving Kosher? I never thought about Thanksgiving’s origins as being Christian. Interesting, Rabbi Mark.